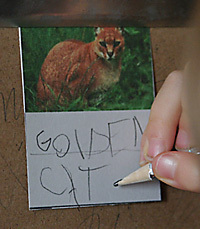 Lapbooks are a great way to expose your children to many different educational concepts. 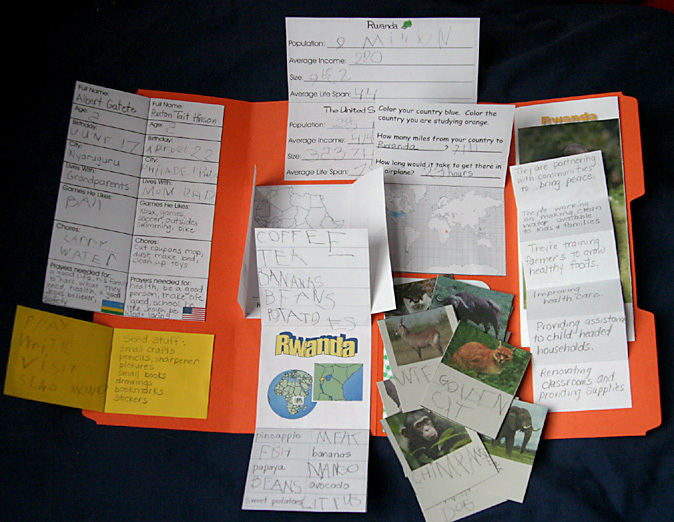 Lapbooks are a wonderful way to put information all together and create a learning keepsake that can be used as a re-teaching tool also! See my Behind the Scenes blog post about Lapbooking here! Pac Man was 5 1/2 and in beginning of 1st grade when we completed this. We sponsor children through both Compassion and World Vision, both of our sponsored children are in Rwanda. 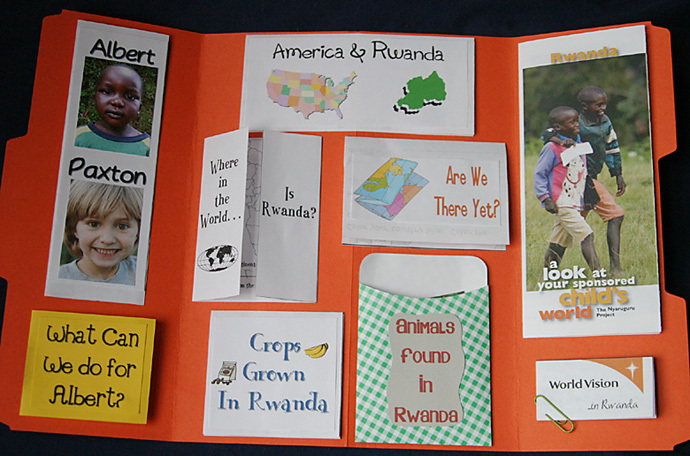 My son's sponsored child, Albert, is sponsored through World Vision so we focused on World Vision for this lapbook. Click here to see children available for sponsorship through World Vision. Click here to see children available for sponsorship through Compassion. Maps of the World...we learned about the flag here. I created almost the entire lapbook since it was such a unique topic for us. I made additional pdf files leaving the country name out, in case you wanted to do the same idea, but with a different country. 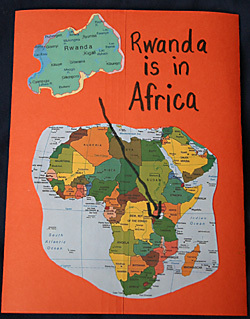 Although we'd love for you to join us in sponsoring a child from Rwanda! 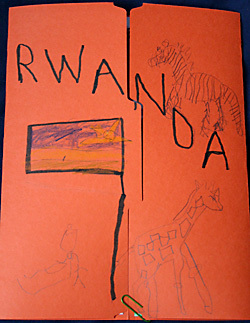 We used these to write about the work the organization is doing in Rwanda.